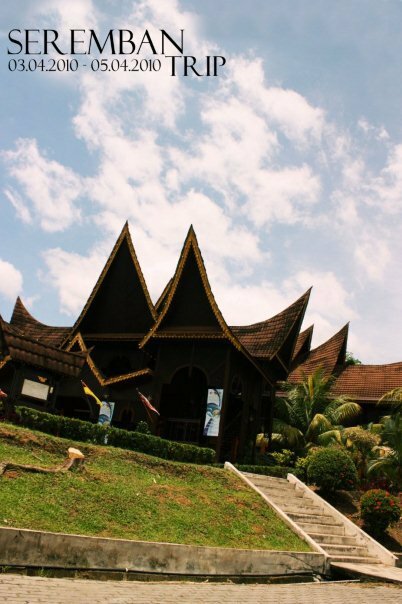 It all started from an idea back at Cheras…..with some planning and preparation, and here I am, at Terengganu! Morning 8:23am….woke up by Michelle’s Kawaii smile~….after she left, I just realised that I haven’t pack up my stuffs up after a tiring yesterday of Leon’s birthday preparation and moving….after a rushing 30 minutes+ of packing, I left my kendy at home and went to look for Cheng. The actual plan was going by bus, but Cheng’s Dad came to KL to pay his fees. And so, together with Cheng’s dad, we disembark on a 8 hour driving to Kuala Terengganu….Cheng’s hometown. Upon arrival, what we do is “Jalan-Jalan Cari Makan”….The food at Terengganu was just different! 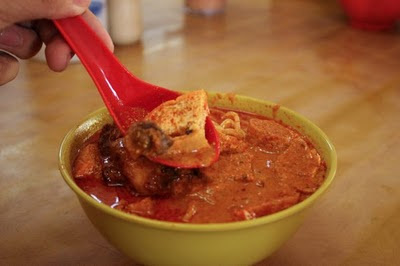 For me, it has a taste of it’s own, a guinuine Terengganu flavor taste! 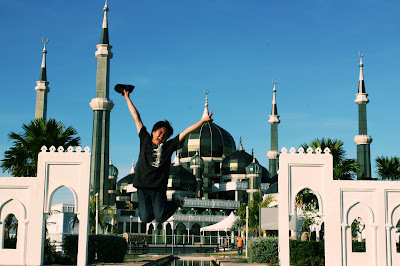 Aside from food….my first stop was Terengganu’s famous Floating Mosque! 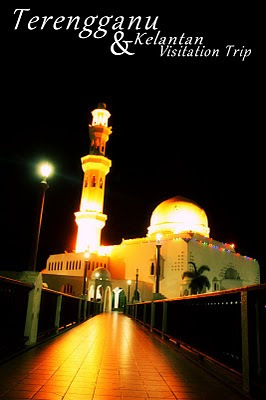 That night was awesome…With the moon was almost full~ the night was clear and beautiful.We walked around the mosque, and the reflection of the colored lights from the mosque reflects the beauty of the mosque itself. My personal view is fantastic! 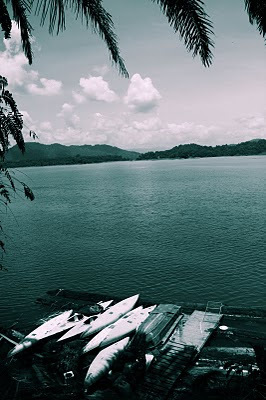 My next pit stop, was Kenyir Lake.The Kenyir Lake was internationally recognised as one of Malaysia’s famous tourism site. The journey going there takes 1 and a half hours from Kuala Terengganu. Kenyir lake was so huge that you can even do island hopping! The scenery was very beautiful, I managed to visit the Kenyir Dam before going to the lake itself. Breathtaking! Now for another 2 hours, I am going to Kota Bharu….which was the main city of Kelantan….yes, Kelantan!! 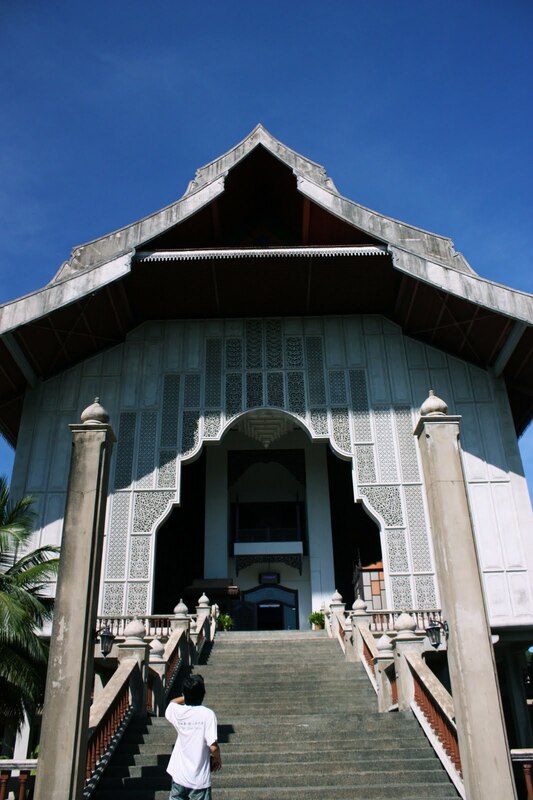 The last state on the East coast of pemnisula Malaysia before entering Thailand. 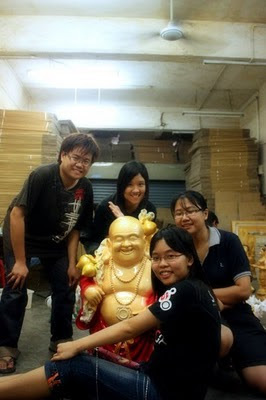 I visited KB Mall, which was a very famous shopping mall at Kelantan (PC fair was also held there)and I also manage to visit the Sleeping Buddha!The Buddha was huge! I heard from Cheng’s Dad explaining that this sleeping buddha was the largest in Malaysia and perhaps the 3rd largest in the World. The temple was very like Thailand, when I entered the temple, I was like stepping into Thailand lolx!Many photos captured! Night at Kelantan, I had dinner with Cheng’s Dad friend.Had great time chatting with them and I managed to eat Toufu with pumpkin gravy (I LIKE this! )And before waving bye, I had a group photo with them. Thanks Cheng and his lovely family for this Trip! Awesome! An awesome trip with Jue Ann, Cherry, Esther and Jenny to Seremban, the capital city of Negeri Sembilan…..so what’s so special about Seremban? To me, I am standing at the heart of Negeri Sembilan, home of the most unique architecture designs in Malaysia, which was from the Minangkabau people. 5 reasons why I love this trip soooo MUCH! 1. Jalan Jalan Cari Makan! 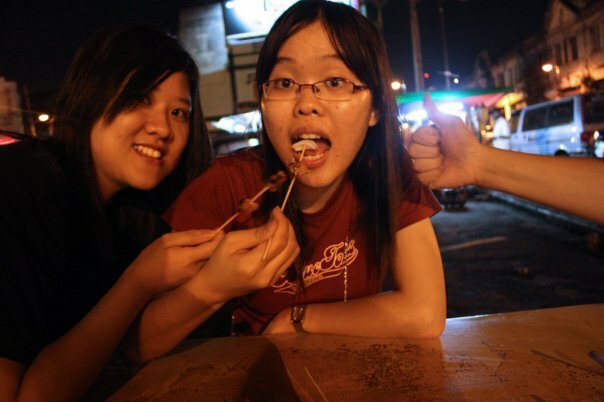 Yeap, Food is the main priority hehehe~ We had the awesome times eating….eating….and eating! Till we drop…..but we still try to climb just to continue to crave for more! Not because of her and her awesome family, I wouldn’t been here! 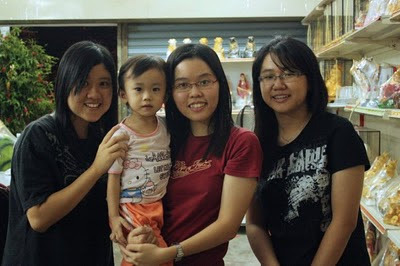 Really, honesty, I really want to thank Jue Ann and Esther as well as their family for taking care of us! Last but not least ……photos! 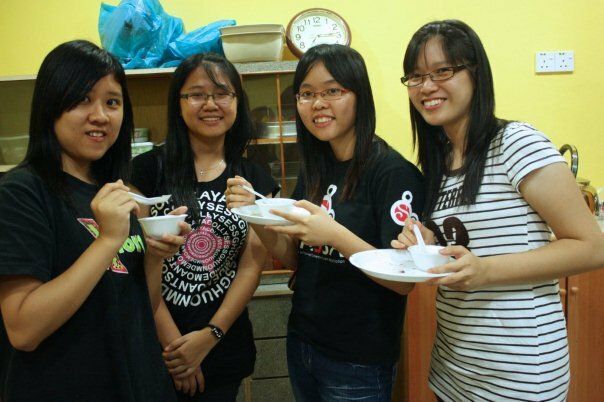 Thanks Jue Ann, Esther, Cherry and Jenny for this trip!